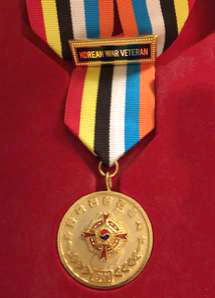 Attention Korean War Veterans: Not included at the EdCC Ceremony? 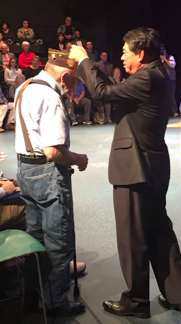 At the recent Veteran’s Day ceremony at Edmonds Community College, many Korean War veterans were honored by the Government of South Korea and were presented with medals for their service. 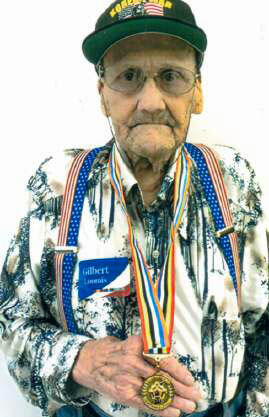 Unfortunately, not all Korean War veterans received the medals. Thanks to Post member Jim Adams, Korean officials would like to correct that oversight and honor all those men and women who defended their nation. 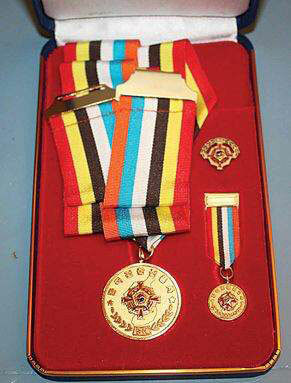 To be eligible for this recognition, you must prove you served in the combat theater between 25 June 1950 and 27 July 1953. A copy of your DD 214 should suffice, assuming it reflects your service in Korea. Eligible veterans should mail a copy of your DD 214 or other documentation that indicates you served in-country between the listed dates to Fred Apgar at 13816 North Pointe Circle, Mill Creek, WA 98012. A representative from the Korean Government will make a special presentation to eligible Post members at a future meeting.